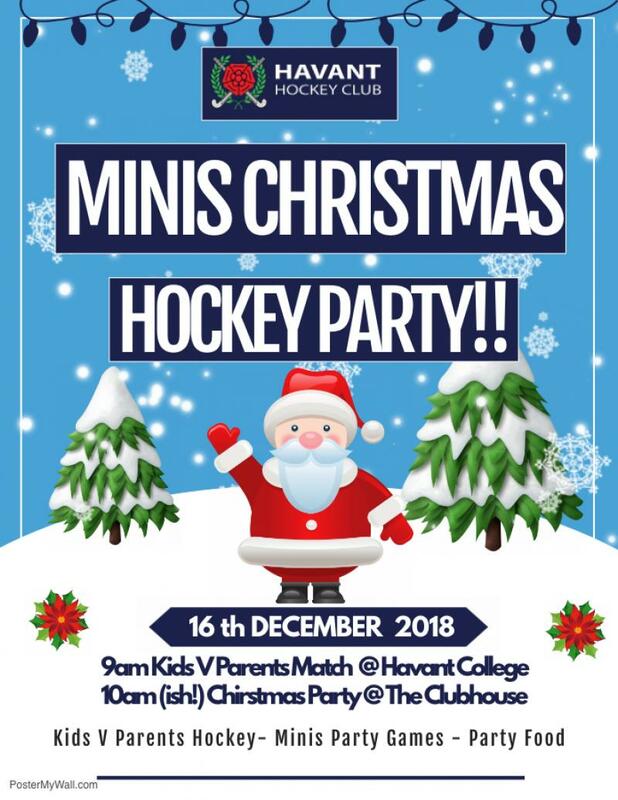 Our last training session of the year is on the 16th December and this year we’ve decided to have a minis Christmas party!! We’ll run some kids v parents games at havant college (parents bring your trainers, i have sticks!) and then we’ll head over to the clubhouse (yes we have a clubhouse here). We’ll then have some party games, maybe a mini dance off and some party food, which is where i need some help! Can i ask for some volunteers to help with the party food? If we all chip-in and bring a little each i’m sure we can put on a spread for the kids. Next week i’ll bring a list of things i think we’ll need to training, if you can sign up for something it would be much appreciated!! Also if you aren’t planning to be there on the 16th, let me know so i can manage the numbers, we should be finished by 1130 (ish).